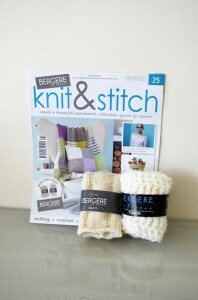 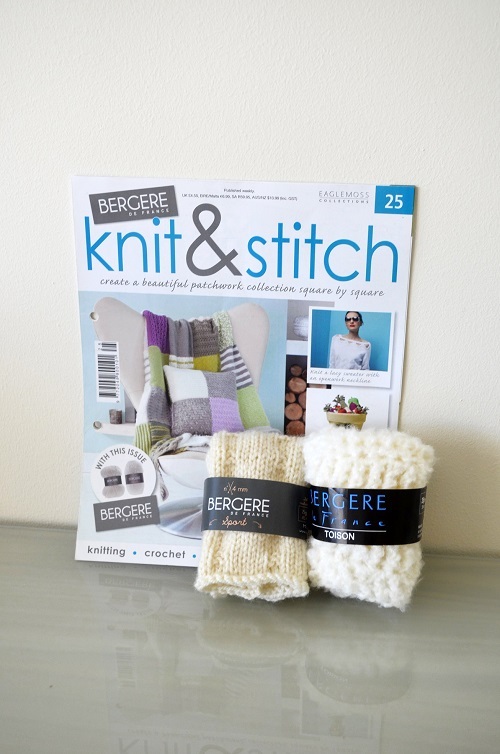 Knit and Stitch issue number 25 includes Sport yarn in color Naturel and Toison yarn in color Hermine. 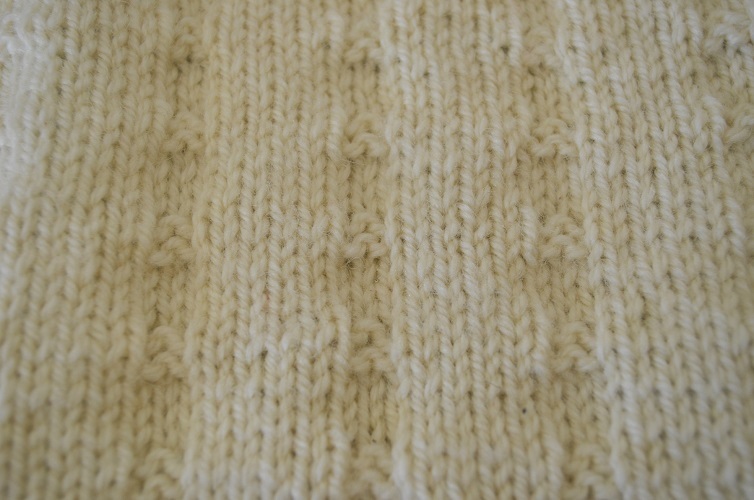 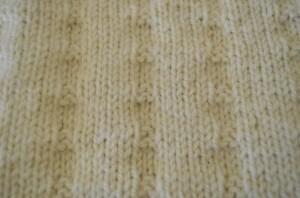 The Sport yarn is used for a square with textured blocks (7B) and is made using 4mm knitting needles. 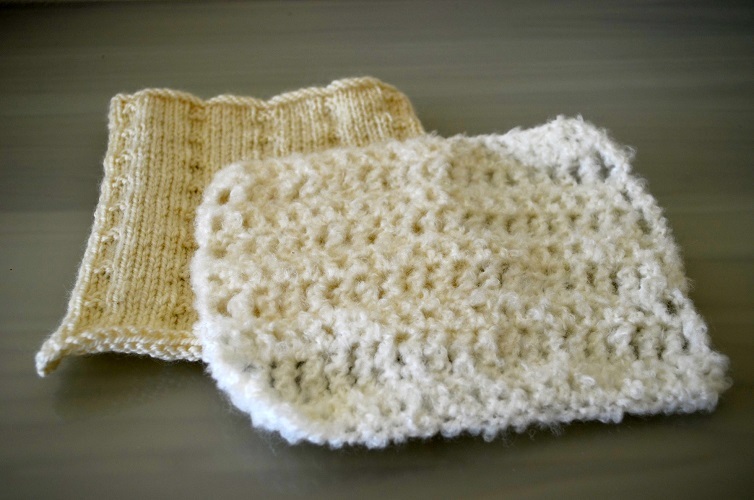 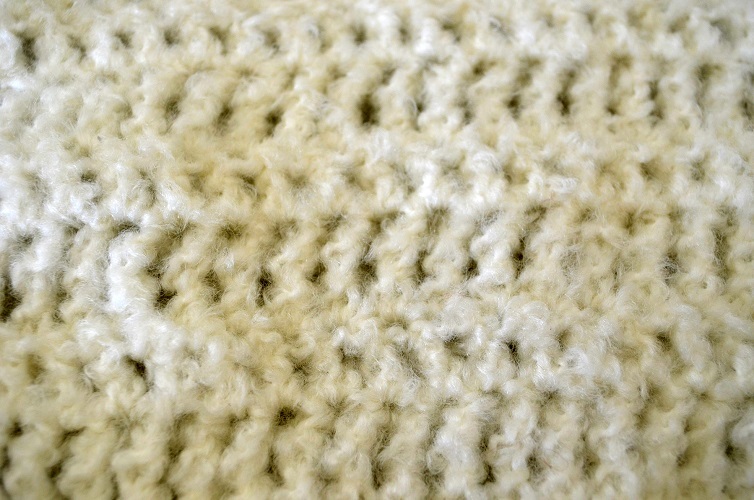 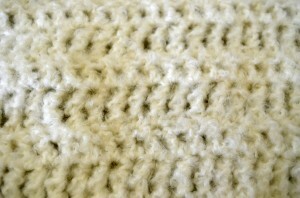 Toison yarn is for a treble and double treble stitch square (18A) and is made using a 7mm crochet hook.